Chester County native and former “Jackass” stuntman Bam Margera announced the birth of his first son on Instagram Saturday. This is the first child for both Margera and his wife Nicole Boyd, who married in 2013. They named their son Phoenix Wolf, which was previously announced when they found out they were having a boy. 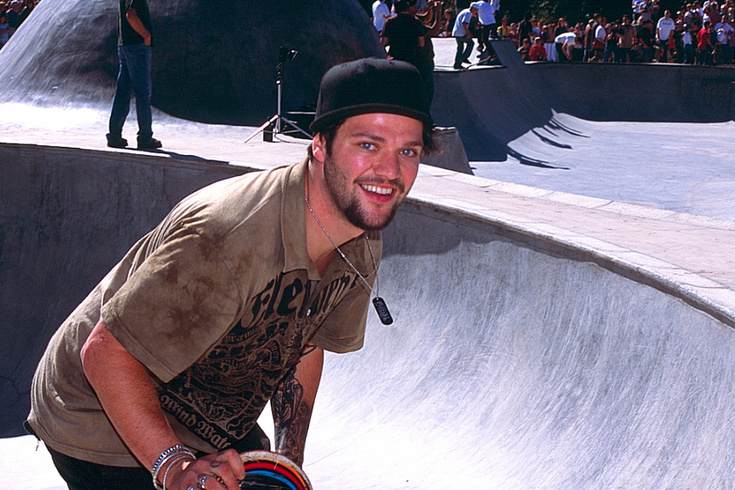 Margera’s career started with skateboarding stunts, eventually leading him to join what would become MTV’s “Jackass” crew. From “Jackass” Margera got several of his own spin-off series, including “Viva La Bam” and “Bam’s Holy Union,” which documented the planning of his wedding to his first wife, Missy Rothstein. A majority of “Bam’s Unholy Union” was filmed in Philadelphia and Chester County leading up to their wedding at Philly’s Loews Hotel. The skate star was also in the news recently for opening up about his history of bulimia, saying the eating disorder developed when he began appearing on TV regularly.